We already know that H&M have been working hard to make themselves more of a conscious brand – right down to their ‘shut door policy’ and their ethical clothing range. 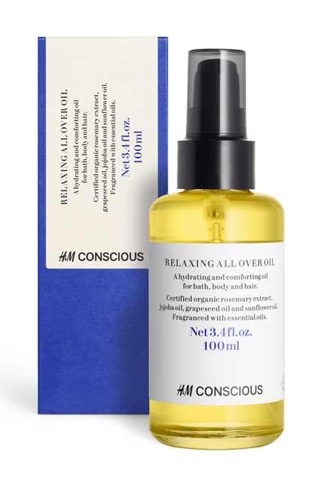 And now, H&M are adding beauty to their mission with the launch of a new organic conscious beauty range – in minimalistic recycled and recyclable packaging. They don’t just look good – they are good! The new line includes haircare, skincare and bodycare and is all certified organic. With products like dry shampoo, aluminium free deodorant and tinted lip balms, they’ve created some great beauty essentials! If you’re looking to make a change with your beauty buying and take more care with what you’re purchasing – from an ethical and organic stance – then this new range will offer you just that. Let’s be honest, ethical standards shouldn’t just stop at chocolate, coffee and clothing. What are your thoughts on H&M’s new range? – will you be switching?